Aylesford-based Gallagher Group has once again opted for Thompsons tipper bodies for its latest batch of 10 Volvo FMX trucks. Gallagher has been running Thompsons tippers since the mid-1990s and they make up the bulk of its 15-strong tipper fleet. Founded by Pat Gallagher in 1974, Gallagher has grown from a one-man band to one of the South East’s premier quarrying, civil engineering, building and property development businesses. It now owns two quarries and a large fleet including 50 excavators, more than 50 dump trucks, 14 Bomag rollers, 15 tippers, 13 ready-mix concrete trucks and three tractor units and trailers. While the company runs a number of Scania P-series mixers, Volvo makes up the majority of its fleet and the Thompsons Loadmaster Lite has been its body of choice for more than 20 years. When it came round to ordering its new batch of trucks, there was no hesitation about which truck and body to go for. 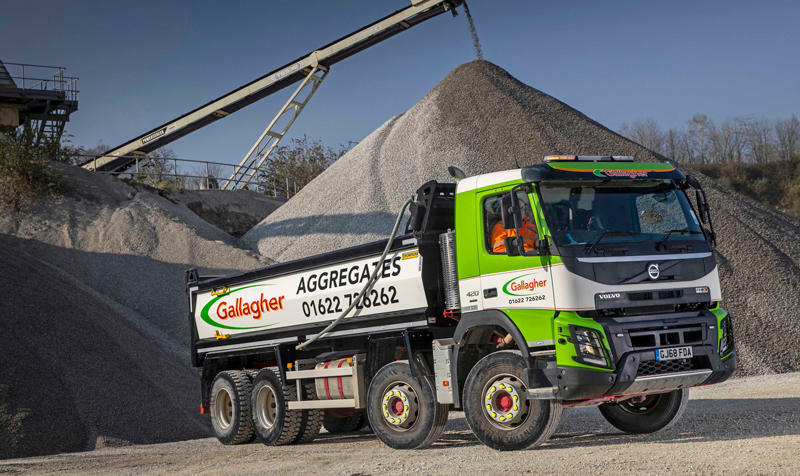 Gallagher supplies more than 70 products from primary and recycled aggregates through to block stone and topsoil from its two quarries near the M20, and it is the last remaining company still quarrying Kentish Ragstone, a hard, grey, sandy limestone that gives many buildings in Kent their own unique character. The 10 new 8x4 tippers feature Volvo’s 13-litre D13K420 engine, producing 420hp and 2,100Nm. The Loadmaster Lite bodies uses a lightweight, single-skinned design, allowing for impressive payloads of up to 19 tonnes. They were fitted and liveried by Thompsons and sister company Charlton, which it acquired in 2003. They will be used to carry fine sand or aggregates out of the quarry, then return with various types of inert waste for landfill. “The smooth bodysides are ideal both for carrying our livery and for keeping the trucks looking smart”, added Buckby. “In our industry, standards of image and presentation are particularly important, and we make a great effort to present ourselves in the most professional way possible”. 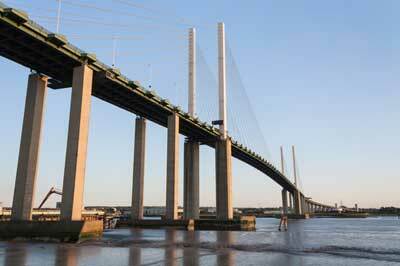 Lorry driver Viorel Sandulache was distracted by a TV show on his mobile when he drove into the back of a 21-year-old woman’s car on the Queen Elizabeth II Bridge at the Dartford River Crossing in Kent. He was sentenced to nine years at Maidstone Crown Court on 8 April. The court heard the collision occurred around 4.05am on Friday 3 November 2017. The victim’s car was travelling ahead of the lorry and braked while on the downhill section of the bridge. Sandulache maintained his speed and drove into the rear of the car. The car driver sustained serious injuries and died in hospital two days later. A police investigation found dash cam footage of Sandulache at the wheel and in the moments leading up to the collision it showed him looking down at his phone which had been placed above the speed dial. Analysis of the mobile revealed he had searched for an episode of a TV show seven minutes before the collision took place. 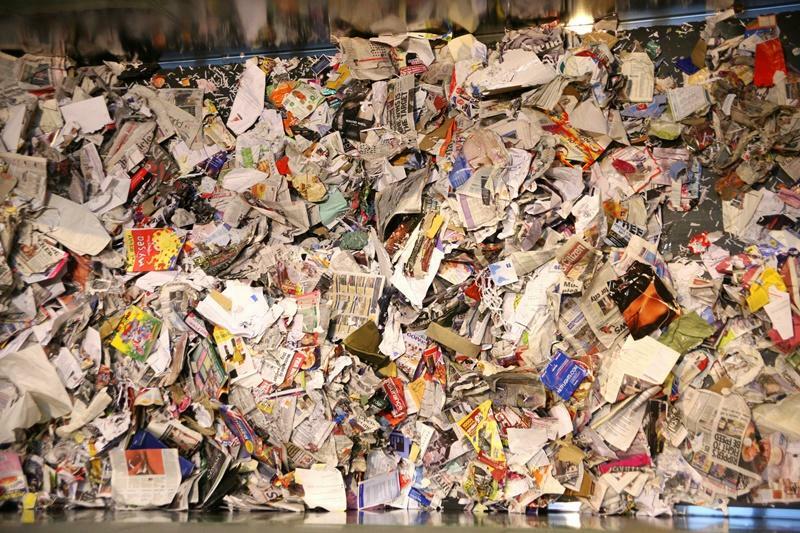 A haulage company has been fined £40,000 for a range of waste offences. A haulage company has been fined £40,000 for a range of waste offences. Waste management firm Thompson Site Services appeared at Antrim Magistrates’ Court after the Northern Ireland Environment Agency stopped driver Trevor Castles transporting excavation waste to an unauthorised waste site. Officers found he did not possess any of the required paperwork for his load. Two months’ later in August 2017, the police observed another waste-laden lorry registered to Thompson Site Services depositing excavation waste at a site in Glenavy, which did not have a licence or exemption to keep waste. The company was fined for one charge under The Waste and Contaminated Land Order, company director Ian Thompson was disqualified from acting as a company director for five years and in addition Castles was fined £300. An operator that traded for more than two years without a transport manager has had its licence revoked and its director disqualified. Deputy traffic commissioner (TC) John Baker said Hall Bros Transport deserved to be put out of business after trust was “fundamentally breached” by its director’s insistence that there was a transport manager in place at the Surrey haulage firm when the evidence suggested otherwise. A public inquiry (PI) was called after uncertainty arose over whether or not the company could show the necessary financial standing for two vehicles and a trailer. However, while the investigation into finances was ongoing, the Office of the Traffic Commissioner (OTC) received a letter from the nominated transport manager Alan Firkins in which he said he had only been employed for six weeks and resigned in 2015. This was disputed by Hall Bros Transport’s director Peter Hall and witness Robert Hall, who claimed Firkins had remained transport manager up until a new transport manager was nominated in 2017. At the PI, Firkins produced bank statements as proof of his employment status during this time, but accepted he had been wrong in not notifying the TC himself of his resignation. The directors claimed Firkins had continued as transport manager for many months longer than he had said, but had done so without payment. As a result, deputy TC Baker revoked the licence and disqualified Peter Hall for two years. He also said that as Robert Hall was not a director, he could make no order in respect of him but any future applications by him will be referred to the TC. He added that Firkins’ repute was retained, but tarnished for failing to notify the TC of his resignation. 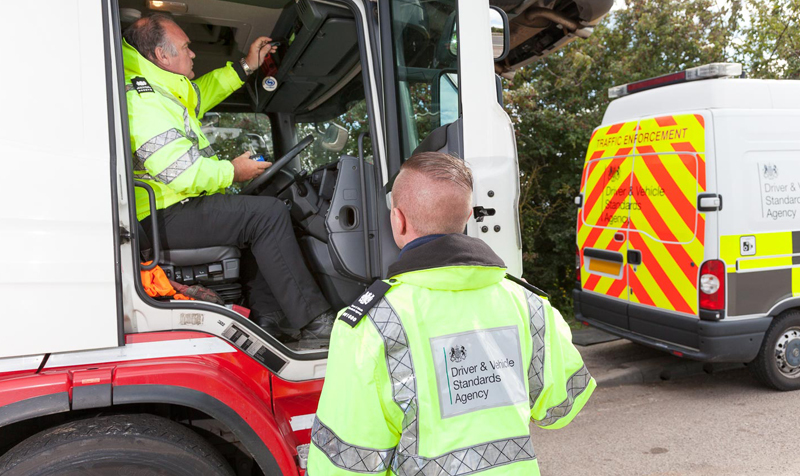 An operator given “numerous chances to demonstrate that he can be compliant” has been disqualified after failing to provide the DVSA with maintenance and drivers’ hours records. Vincent Larkin was disqualified for two years and his licence in the trading name of Olympic Scaffolding was revoked following an Eastbourne public inquiry (PI) before deputy TC John Baker. 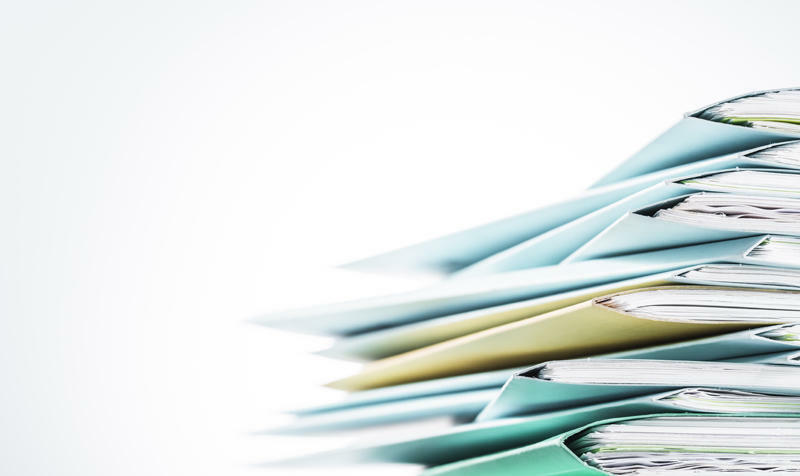 In 2018, the DVSA requested records from Larkin so it could carry out an assessment of compliance. Some documents were sent but a large number were not and, along with a new application for a company called On Point Construction that was using the same address, the operator was called to the PI. On Point Construction director Sohayla Imanpour told the PI that her business had been running smaller vehicles but she was now applying for an operator’s licence with Larkin as joint director in order to share the workload. A waste boss has been banned for six years after he breached environmental legislation at a site in Swindon. Averies Recycling was found to have held excess amounts of waste at the Marshgate site, which suffered a fire in 2014. Director Lee Averies also did not dispute that his misconduct caused another company Swindon Skips, which he was also a director of, to also breach environmental legislation. The Environment Agency found that Swindon Skips, which also had a fire on its Brindley Close site in 2013, had inadequate security; stored waste where it was not permitted; and failed to implement adequate fire breaks. This misconduct resulted in the Environment Agency suspending Swindon Skips’ environmental permit and then, following the company’s subsequent liquidation, Swindon Borough Council became liable for cleaning the site. Last month, Swindon Crown Court ordered Averies to pay £200,000 from money he benefitted from the crime. The judge awarded costs to the Environment Agency of £15,000 against Averies, who is already serving a five-year ban from the waste industry. Chief investigator for the Insolvency Service David Brooks said: “Managing waste sites is a significant undertaking considering the amount of regulations you need to uphold to mitigate the impact on both the environment and local residents too. 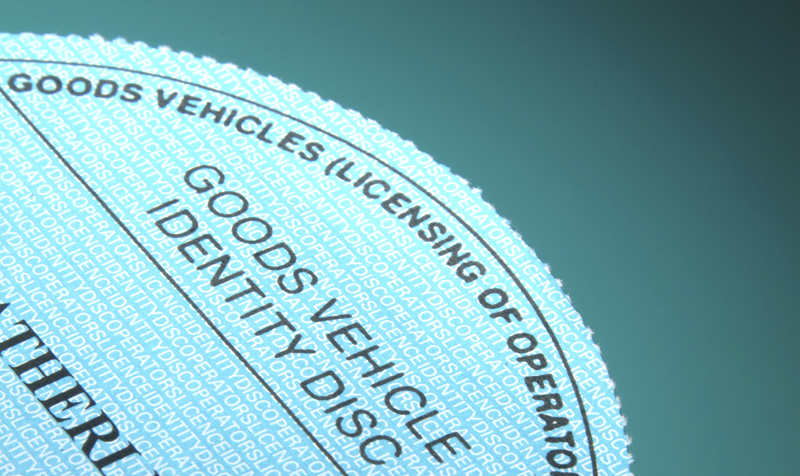 The DVSA said it would ensure licensing functions and driver and vehicle standards would remain unaffected in the event of a no-deal withdrawal from the EU. In its business plan for 2019/20, the enforcement and licensing agency said it was adopting “a flexible approach” to its plans to respond to Brexit while the details remain to be confirmed by parliament. It said: “We have taken forward a wide range of workstreams to ensure that the UK’s prepared for all possible eventualities, including no deal. “This work ensures that essential functions such as driver and vehicle standards, licensing, operator licensing, and vehicle type approval continue to run smoothly after the UK leaves the EU and that effective enforcement is maintained to keep unsafe vehicles and drivers off Great Britain’s roads. The DVSA’s business plan added: “Specifically, DVSA continues to ensure delivery of the provisions of the road haulage permits and Trailer Registration Act as it applies to the agency. “A particular focus for DVSA is the introduction and delivery of international road haulage permits and other associated documentation to enable UK commercial vehicles and drivers to continue travelling into the EU. The plan also outlined various targets for the forthcoming year, which include 98% of confirmed reservations to be honoured at authorised testing facilities; detecting 28,000 serious roadworthiness defects and traffic offences and a commitment to promote and test awareness of vulnerable road users in the Driver CPC. An operator who lent his licence to another business has been disqualified for three years and had his licence revoked. 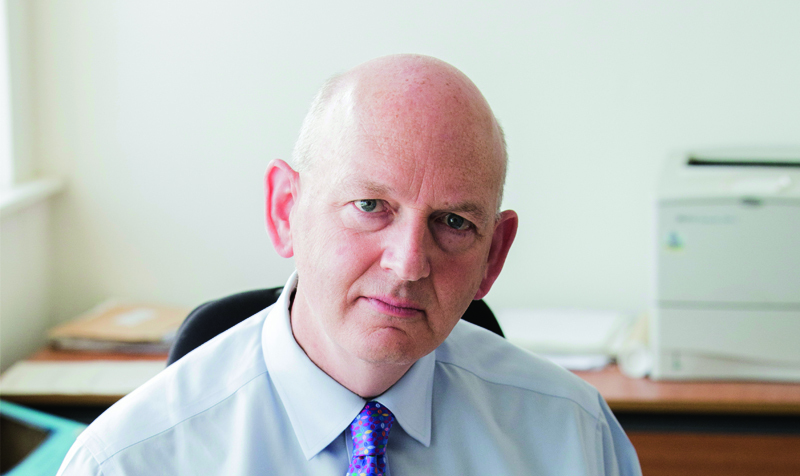 Traffic commissioner (TC) Nick Denton (pictured) said the standard international licence held by Bernard Berger, in the name of XWK International Haulage, would be revoked immediately and Berger would be unable to hold or obtain another licence until 2022 after he heard that the director had lent his licence to HM Distribution. TC Denton said vehicles operated by HM Distribution had been kept at an unauthorised operating centre for 10 years and its director, Malcolm Hillage, managed the licence in “a highly non-compliant manner”. 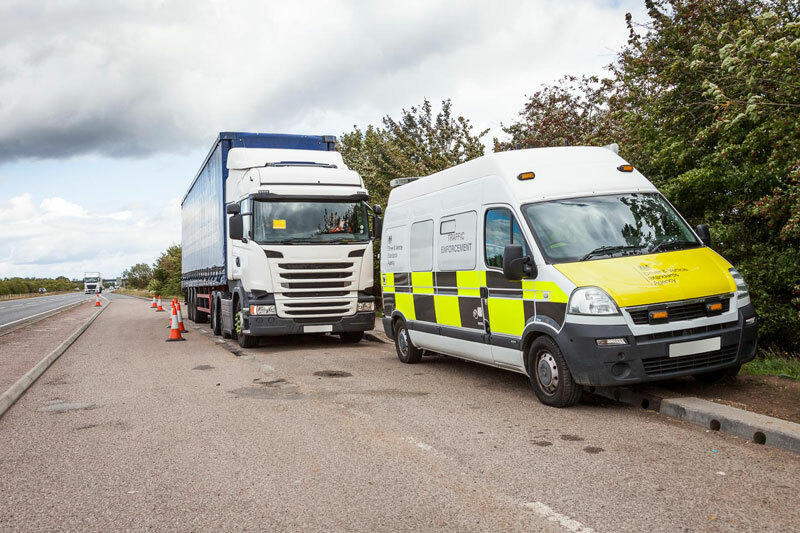 A DVSA visit to HM Distribution’s premises found that Hillage was not downloading vehicle units or drivers’ cards and was not carrying out any analysis of the data to identify driver infringements. Vehicles were not fit and serviceable and the operator had failed to specify lorries on its licence. TC Denton said Berger was not of good repute for knowingly lending his operator’s licence out. He noted that Hillage had previously been director of L&M Logistics, which had its licence revoked after entering liquidation. Hillage was nominated as transport manager on Berger’s licence at around the same time and in effect had continued as an operator despite the fact his previous company’s licence was revoked. Hillage was also disqualified from acting as a transport manager on any licence indefinitely. 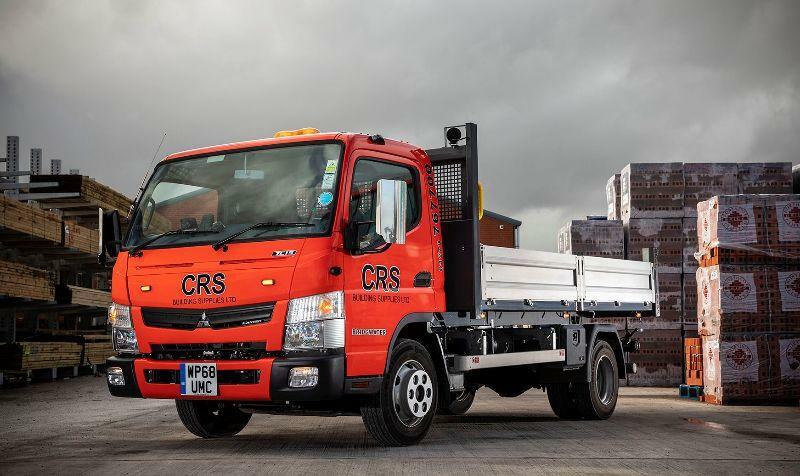 CRS Building Supplies has taken delivery of its first FUSO Canter trucks, expanding its fleet size to 22. The South West-based building supplies company runs a predominantly DAF fleet that runs up to 26 tonnes, but has acquired four 7.5-tonne Canters because of their “exceptional payloads” . CRS has grown into a 10-site company in just 14 years and says a flexible and efficient fleet is key to further growth in the future. In addition to the DAFs, the company runs a number of Nissan Cabstar 3.5-tonners. Like the Cabstars, the new Canters will provide free local deliveries of products including power tools, a wide range of insulation products, timber, bricks and blocks, and loose or bagged sand and aggregates. “We have a lot of coachhouses and tight worksites here in Somerset so we need something that is compact and manoeuvrable but, at the same time, we want something that can carry a lot of weight so we can do longer delivery runs,” explained Paul Gibbard, CRS building supplies transport manager. CRS acquired its Canter 7C15 models from Mercedes-Benz dealer City West Commercials, which celebrates a decade in business this year. The vehicles are powered by 3-litre engines, providing 150hp and 370Nm, while their steel tipping bodies are supplied by Brit-Tipp of Warrington. “They’re a lot more comfortable than they used to be, too,” said Gibbard. Safety was another high priority for CRS – the Canter’s low seating position, deep windscreen and side windows allow drivers to easily make eye contact with vulnerable road users. The company acquired the first two Canters with funding support from Mercedes-Benz Finance, but purchased the second pair outright. 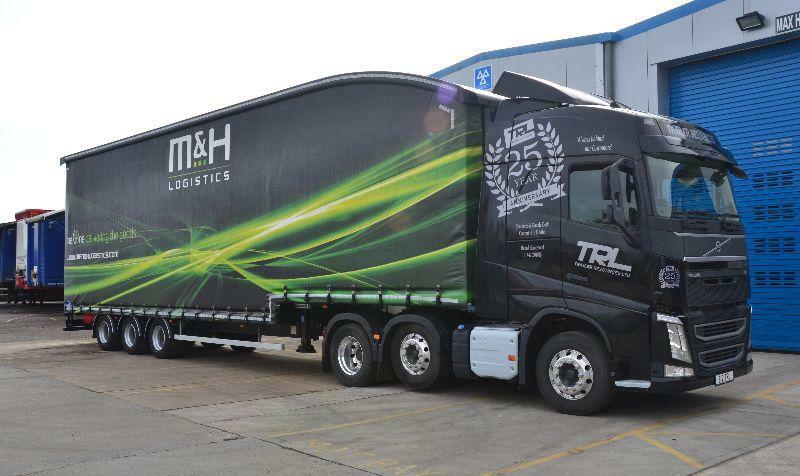 Glasgow-based M&H Logistics has taken delivery of six specially designed double-deck trailers from Trailer Resources as part of its fleet replacement programme. The trailers were designed by Trailer Resources, which carried out extensive consultation with its customers within pallet networks, and manufactured by SDC. Named the Damage Limitation Network Double-Deck trailer, it has a unique design of pelmet carrier to prevent damage while loading, and several features to improve the safety and strength of the units. New conspicuity tape markings also help forklift operators see the roof line of the trailer, and the roof rail has been designed to limit damage caused by an impact from a forklift truck while loading the top deck. The six trailers have also been specified with full EN 12642 XL load-restraining curtains and are ADR-ready so that the units are not restricted by the work they can do in the M&H fleet. The design, which has been made into a standard specification by Trailer Resources for all of its pallet network members, also sees wide-spread axles fitted allowing super-single tyres to replace standard twin-wheel configurations. Finally, to improve driver safety, front and rear pull-out steps have been added. Trailer Resources sales manager Ryan Jones said: “Our customers had told us about the damage happening to their curtain rails and pelmets while in the hub, so in collaboration with SDC we designed a new pelmet carrier, moving it from the side to the roof, to stop it getting damaged by a forklift. M&H Logistics – part of the Fortec Distribution Network – has also redesigned the livery of the trailer curtains on the new units, and the design will be rolled out across the existing fleet. Robert Paton, M&H Logistics operations manager, said: “Trailer Resources came to us with the design for its new trailer and I have to say it’s done a really good job with them. “We specified them with full load-restraining curtains and these have been rigorously tested. I don’t know how many times we’ve had to have people out to repair damaged runners on the curtains, so the new design will make a huge difference in costs.